Parents meeting Thursday, April 11th @ 6pm in the Webster Ice Arena conference room. Coach Quick & Coach Bolton will be in contact with instructions for signing your Commitment Form (due Thursday 4/4). A mandatory team meeting is scheduled for Monday, 4/1 @ 6 PM at the Webster Ice Rink. The following alternates are encouraged to try out for the WYHA Peewee/12U Red team. If schedule allows, each player will be asked to play in 10 games to qualify for a spot at the State Tournament. Coach Dwyer will be contacting you individually. 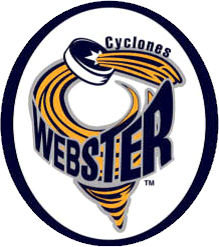 For players not selected to join our Webster 12U TB roster, we have an additional opportunities at the 12U Red level. The 12U Red tryouts are 4/2 & 4/9 at Webster Ice Arena. For information about this team please visit https://www.wyha.com/events/travel-girls-coaches-contact-info-season-plans/421 and https://www.wyha.com/events/travel-girls-tryouts-coaches-9u-thru-12u/427 .